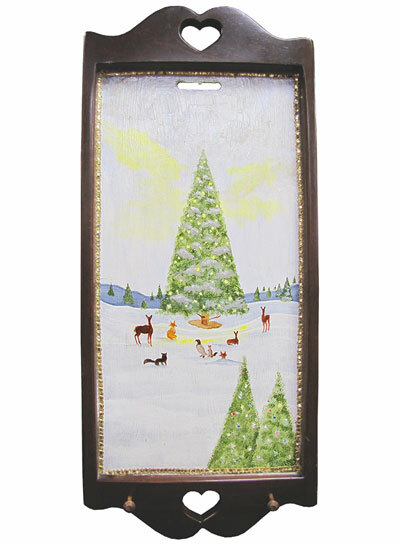 This wall hanging key holder features a winter scene with forest animals gathered around a Christmas tree surrounded by snow. This unique piece of artwork was hand painted by Marj Serr and is one-of-a-kind. The height of the board is 30" and the width is 13".